The plugin is used to share j2store products on social media. Users could download this plugin from our site and install it using the default joomla installer. After installing the app, go to J2Store > Apps. Enable the Social media share app for j2store. Once enabled, click Open to configure the settings for the app. Under General settings,you could set the page where you want to display the icon.There are three options:In the product view only.In the Category view only.Both view. Users can set up the place where they wish to display the icon using the "Choose display event option". Using the "Share social product image as" option, one can set the social media icons to be displayed either as main images or as thumbnails. If user wishes not to display the social media icon for facebook,he/she could hide it using the Show Facebook share icon. 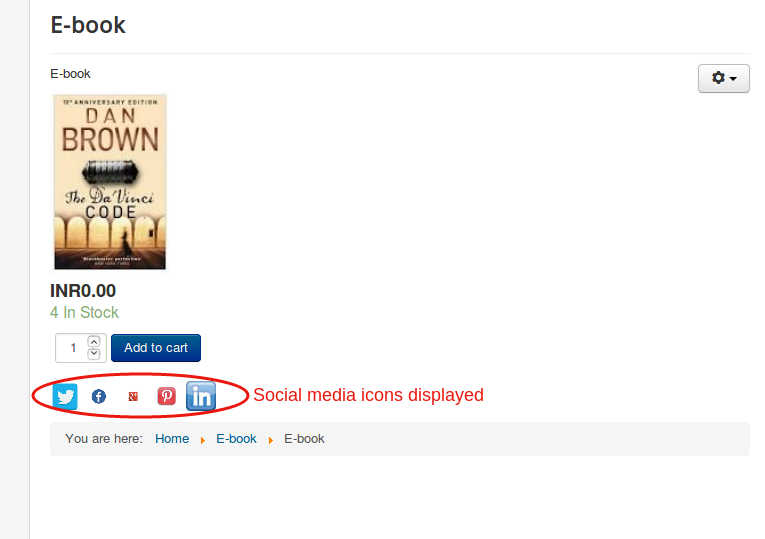 (Similar options are available for other social media icons too). Users can set the images to be displayed for facebook share using the "Image for facebook"(Similar options are available for other social media icons also). 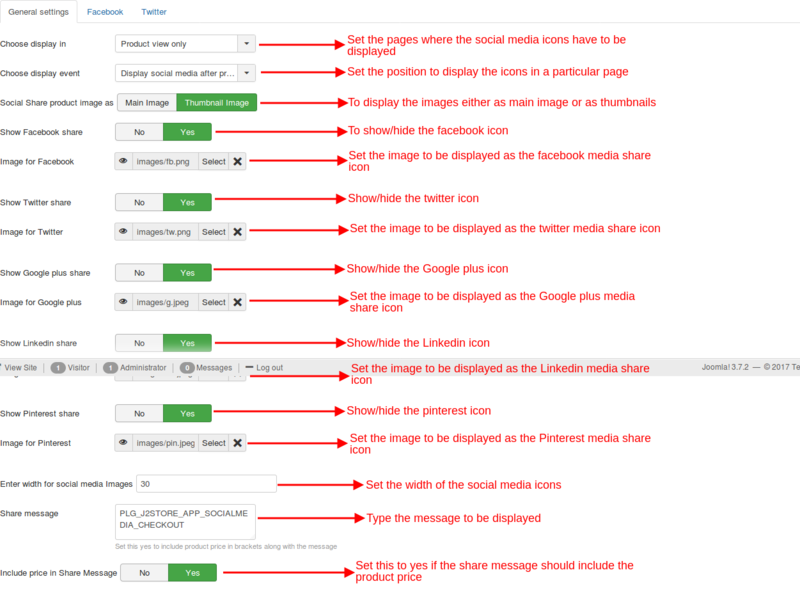 One can adjust the width of the images/icons by setting up the width in "Enter width for social media Images" textbox. Users can display the messages along with the product price by enclosing the text in the "Share message" textbox. Set Yes in the "Include price in share message" option to show the product price along with the message. Under the Facebook tab,one could set the App id for facebook share and contact email. Include meta tags-This option has to be set to Yes for the search engine to locate the information. One can set up the twitter personal email account and for the website using the next two options. The width of the product that is to be displayed on the social media can be adjusted by setting the width in "Enter Product image width" textbox. The description limit can be set using the "Description limit" option. One can set up the Summary card type using the "Twitter card type" option.